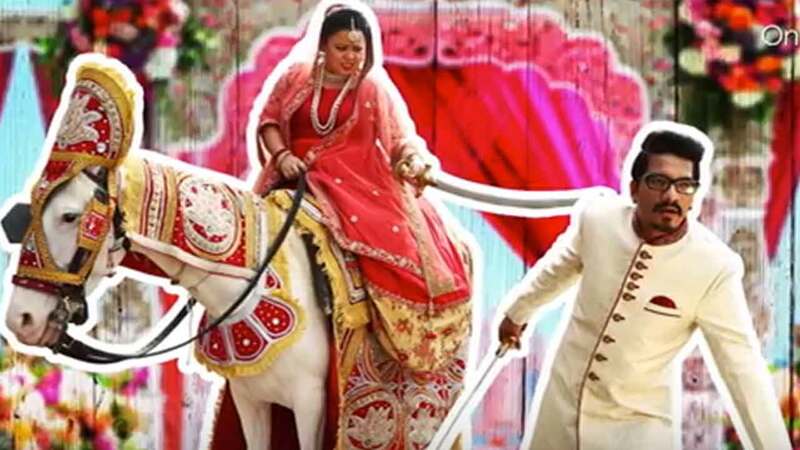 Bharti Singh and Haarsh Limbachiyaa’s wedding is going to covered and then converted into a web series called Bharti Ki Baarat! The famous comedienne Bharti Singh is very soon going to get married to her longtime boyfriend Haarsh Limbachiyaa. Both of them appeared together on the celebrity dance reality show Nach Baliye and everyone just loved the couple. Everyone got to see that the two of them make together an exceptionally cute couple. Also, to make their fans a part of their wedding they have talked to a production house which will be converting their wedding footage into a web series. The title of the series is Bharti Ki Baarat. And guess what! The first episode of the series is out and you will love it. It starts with Bharti and Haarsh narrating how they first met and slowly fell in love with other. As both of them have an amazing sense of humor, it makes the video is hilariously cute. They even talk about an incident when Bharti was scared at a hotel. To ease her, Haarsh had been talking to her over the phone the entire night. How cute is that! The first episode features some of the known celebs like Anu Malik, Krushna Abhishek, Ravi Kishen, Sudesh Lehri, Karan Wahi, Rithvik Dhanjani, Kishwer Merchant, Maniesh Paul and many others who have worked with the two of them. Previous articleBigg Boss 11: Puneesh Sharma, Bandgi Take Revenge From Luv Tyagi And Hina Khan- Watch Video! Next articleHere’s Why Kapil Sharma Did Not Attend His Firangi Co-star Ishita Dutta’s Marriage!